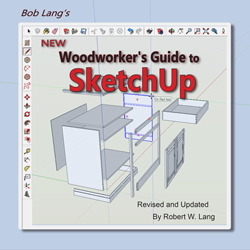 Read the “New Woodworker’s Guide to SketchUp” in one window and practice in another. Like the original edition of this book, finding what you’re looking for (or returning to something to refresh your memory) is incredibly easy. Each page of the book is visible as a thumbnail, so you can scroll through them to find something visually – each image is a link. Every entry in the table of contents is also a link, just click on chapter titles, subheadings or videos and the page appears. The entire book is also bookmarked. You can switch the panel on the left of the screen to show bookmarks instead of thumbnails, find what you’re looking for and get there in an instant. If that isn’t enough, the entire book is searchable; type a word or term and click the results. The bells and whistles don’t mean much if the content isn’t also top-notch. 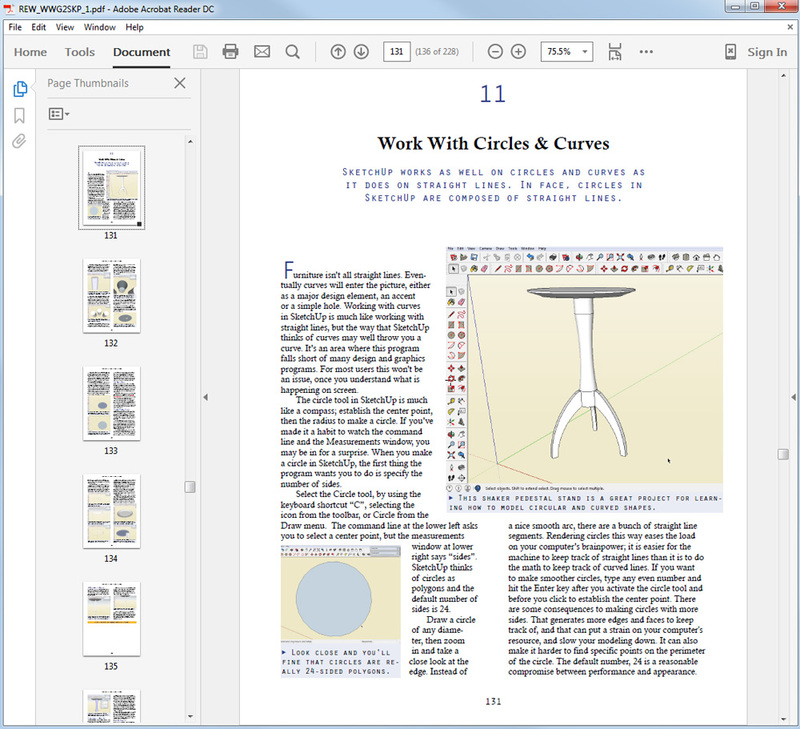 That’s really the best part of the “New Woodworker’s Guide to SketchUp”, solid, practical information that shows you how to design, plan and problem solve your next project. 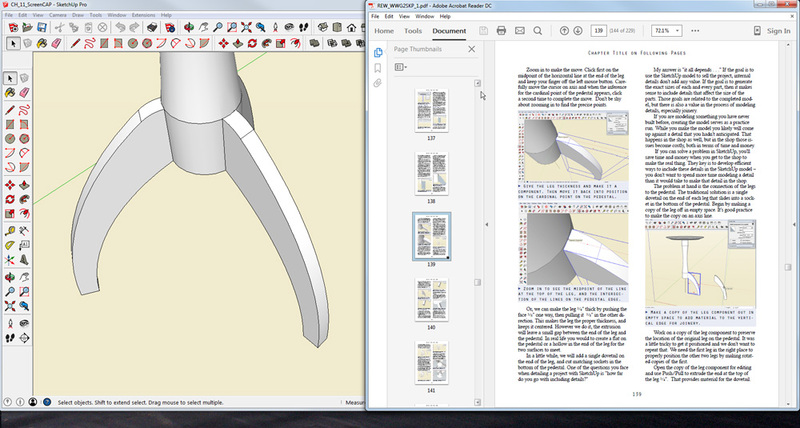 In the five years between the first edition of this book and the new revision, I’ve made hundreds of SketchUp models and streamlined many of my techniques. I’ve taken what I’ve learned from students in my classes and incorporated that into the book as well. In addition to all new visual content with the latest version of SketchUp, most of the text has been revised and a lot has been added. You can purchase the “New Woodworker’s Guide to SketchUp” in enhanced PDF format either as a download, or on a disc sent to you via US Mail.